Translate French English: Why Might You Need Translation For Personal Reasons? Translate French English might be a useful part of many people’s business lives, but there are a number of reasons why you might want to engage a translator in your person life too. We deal with people in other countries more often than we might realise. Having a translator whom we can contact to assist us can save us time and money. One of the reasons that we might want to engage a translator French English is to ensure that we are not being duped or ‘ripped off’ by companies in other countries. It may be that you need to deal with solicitors in a different country, for example. This could happen if you are buying property and moving abroad. It is also helpful if a friend or relative has passed away abroad, or lived abroad and died there. For the executor of their will, having all the information sent across in French, Spanish, German, or any other language means that it might not be possible to know what it all means. Asking a language translator to create a new, English document that tells you what the legal situation really is can help immensely, and save any big mistakes from happening. This will also speed up any probate issues and help the beneficiaries receive their inheritance more quickly. 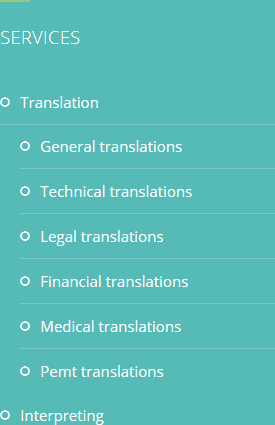 Because these issues are sensitive and confidential, it is essential to only use a translator whom you trust. Find out what their confidentiality process is, and make sure you are comfortable before you begin working with them. 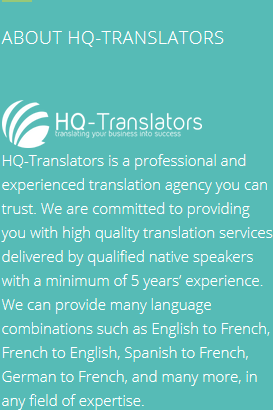 For any kind of translate French English work, HQ-Translators are the people to get in touch with. Please call us on (00 237) 242 71 38 38, or (00 237) 693 21 69 27, or email infos@hq-translators.com. 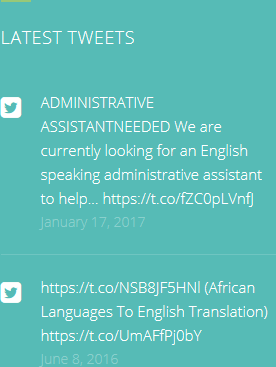 Why not take a look at our website at https://hq-translators.com for further details?